i am ever, ever, ever so grateful to good, creative friends who make me laugh and who let me vent and swear and then make me laugh some more. and who pour me a glass of wine when it's needed. and sometimes even when it's not. i am grateful for these days where i have time to devote to the last details for making our local creative workshop/library/culture house awesome. 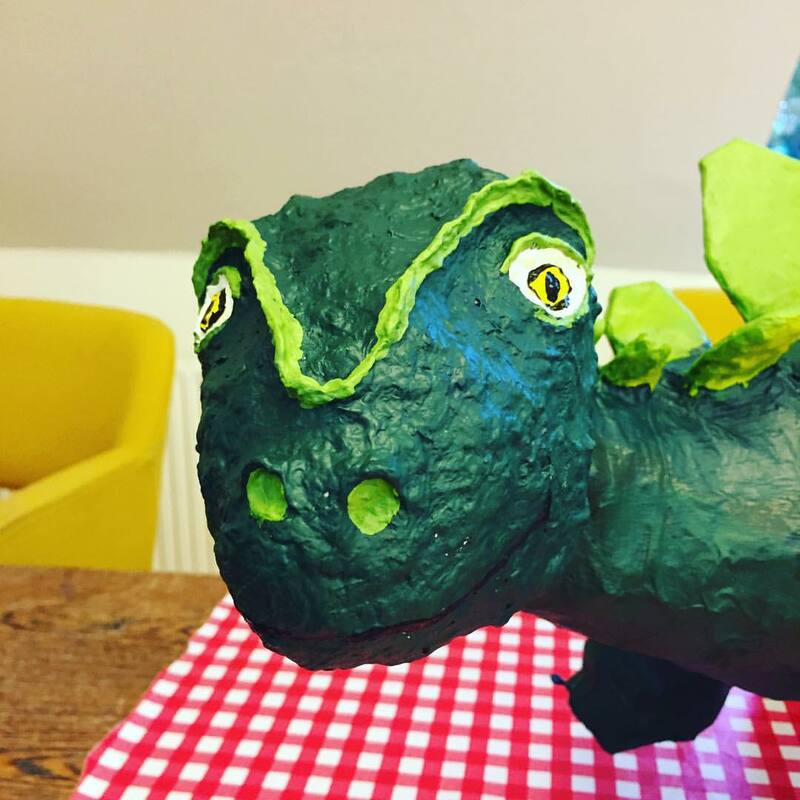 i am grateful to super creative people to collaborate with - like the person who made this dinosaur on which i was allowed to paint the final details. i am grateful to people who are large in the face of smallness. it makes the smallness matter so much less. and i am grateful for husband and how he helps me stay on an even keel. and i am grateful that my new job is just around the corner. and i am grateful for glorious autumn days and even those that are a bit blustery. and for purring lap cats and brand new kittens. and for the pear tree and the last of the tomatoes. for molly (the cat and my cat love friend in cape town). and for not being in a holding pattern anymore. and for proper mexican food and especially tortillas coming to denmark at last. and chairs that are not boring. and nordic light. and men who do dishes. and for being seen for who i am and what i have to offer. for the way that wounds heal. for doors closing and other ones opening. for husband. and sabin. and the security of home and belonging that enables me to fly. and new clothes. and good friends. so much to be grateful for, life feels like it's overflowing. and it's about time. Shew, it really is about time! I am glad. It makes me feel grateful too.AriadnefromGreece! Despite challenges, it sounds like your life is really good. It's not to take in all the good and find the grace. You inspired me to do the same today. Good luck at the new job. I hope it proves to be fabulous!